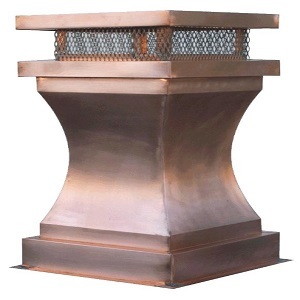 In recent times, a lot of homeowners have been using chimney liners for masonry chimneys. In simple terms, a flue lining in a standard masonry chimney is a ceramic, metal or clay conduit carefully installed inside a chimney. The primary purpose of a liner is to contain different kinds of combustion products, direct these products outside the atmosphere, and protect your chimney walls from corrosion and heat. It is worth mentioning that building codes are different for every locality or state. However, it is still recommended to install the flue lining. It has been used since the beginning of this century. In fact, most fire and building codes have mandated liners. It makes sure your chimney stays protected and safe. Protecting House from Heat Transfer – A chimney liner protects your house from heat transfer to dangerous combustibles. According to the NBS tests, unlined chimneys tend to allow heat to move through your chimney rapidly. Due to this, adjacent woodwork may catch fire within a few hours. Protecting the Masonry from Corrosive Byproducts – Chimney liners can also protect the masonry from corrosive byproducts of heat and combustion. As per the tests performed by the NBS, the flue gases can penetrate the mortar and brick. Due to this, there is a reduction in the life of your chimney. It is worth mentioning that flue gases are acidic in nature. They can cause damage to the mortar joints from inside your chimney. When the mortar joints erode, heat tends to transfer rapidly to nearby combustibles. Thus, dangerous gases, like carbon monoxide, may leak into your home’s living areas. Providing Correctly Sized Flue – Chimney liners provide you with a correctly sized flue. This ensures optimum efficiency for your appliances. Modern gas or oil furnaces and wood stoves require a properly sized flue to function efficiently. Your home’s chimney is responsible for not allowing the byproducts of combustion a passage out of your house. However, the draft generated by your chimney can also supply the harmful combustion air to your appliance. An improperly sized chimney liner may lead to excess creosote buildup in your wood burning stoves. In addition to this, it may lead to the production of carbon monoxide where traditional fuels are used. We have been offering its services for a long time. With our high quality services and affordable prices, we’ve been able to build a very strong reputation in the industry. Our skilled technicians receive quality training on a regular basis. This keeps them updated with the latest technologies and equipment to ensure the best chimney lining services. Besides Chicagoland, we also provide our services in other nearby areas. We understand the importance of a chimney in your home, and make sure you don’t have to worry about any issues caused due to lack of chimney liners. Our dedication and commitment have allowed us to offer excellent services, and build long lasting relationships with our customers. Our high customer retention rate speaks for itself. We understand the importance of customer service. Due to this, we always stay in touch with our clients during the course of the project. Customers can reach us via multiple channels of communication to stay updated on the progress. We discuss everything with our clients to ensure complete satisfaction. With our high quality services, you don’t need to look anywhere else. We make sure our customers are always satisfied, and that our services meet their needs. We can also provide you with references to build trust, and make sure you don’t feel skeptical about your choice. In case you have a query, our customer care representatives respond within 24 hours. Besides proper installation, we also offer other services, including chimney relining, chimney cleaning, chimney repairs and more. 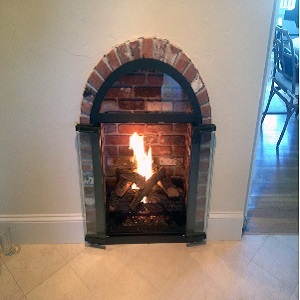 If you’ve been looking to get a chimney installed in your home, you should contact us now. We will ensure timely and efficient services.